Recently, the Go Digi team were lucky enough to spend a whole week in Geelong. On a cold blustery Tuesday morning, the team popped up in Geelong East! 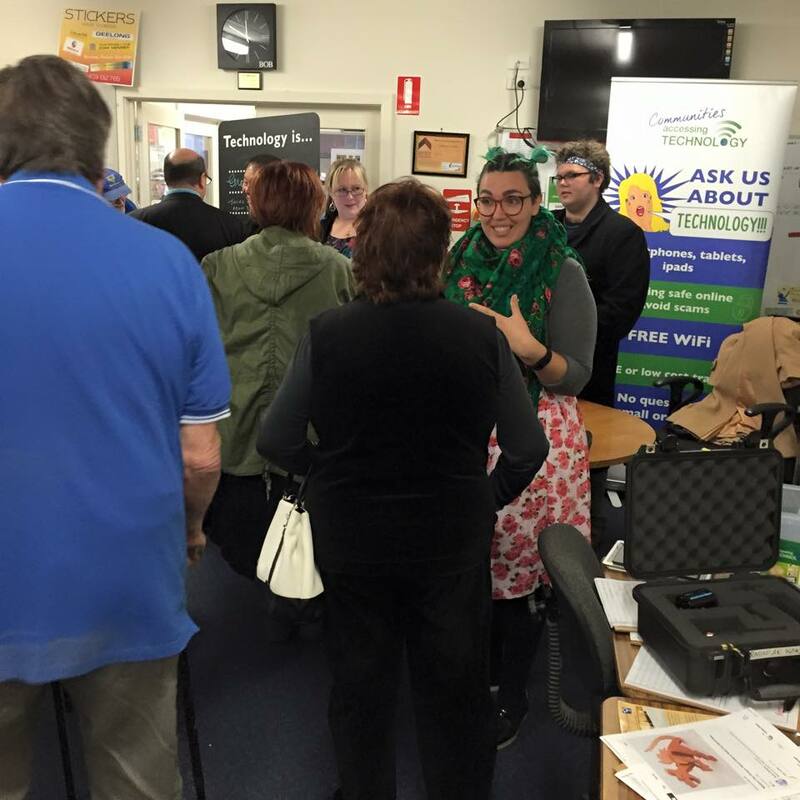 We were lucky enough to do this with the Communities Accessing Technology (CAT) team at the local Men's Shed. It was a great morning with lots of tech talk over coffee, tea and cake. The Go Digi Network – is your organisation on board? Go Digi is a 4 year national year digital literacy program run in partnership by Infoxchange and Australia Post. With the recent launch of the Go Digi program, we are now focusing on enabling organisations to improve digital inclusion in their communities through the Go Digi Network. The world wide web can be a wonderful place. But just like in the real world, there are precautions you can take to help you stay safe. The Go Digi team will be heading to a city near you! That's right. We'll be travelling all over the country to speak to many people from all walks of life about how they can realise their online potential and that of their communities. Stay tuned, we'll be releasing the details as they come. Phone a friend? Could you help us spread the word about Go Digi? The more individuals and organisations that know about Go Digi the better. Whether you're a learner, mentor or network partner, you can help us to help others realise their online potential just by telling them about Go Digi. It's great to meet you. Welcome to the Go Digi platform, a place to help you realise your online potential. The Go Digi online platform is the centrepiece of the Go Digi national digital literacy program, aiming to improve the digital literacy of 300,000 Australians around the country. The Go Digi Blog is where you can read about different things happening the Go Digi program. Sometimes these blog posts will feature Go Digi Network Partners and their activities. To read more of one of the the Go Digi blog posts from the home page or main blog area - click the green button that says read more. This will take you to a new page where you can read the whole blog post. If you need help on anything else, please head to the Help Centre. Please Login to mark this page as favorite.